Plants in flower in a walled garden. 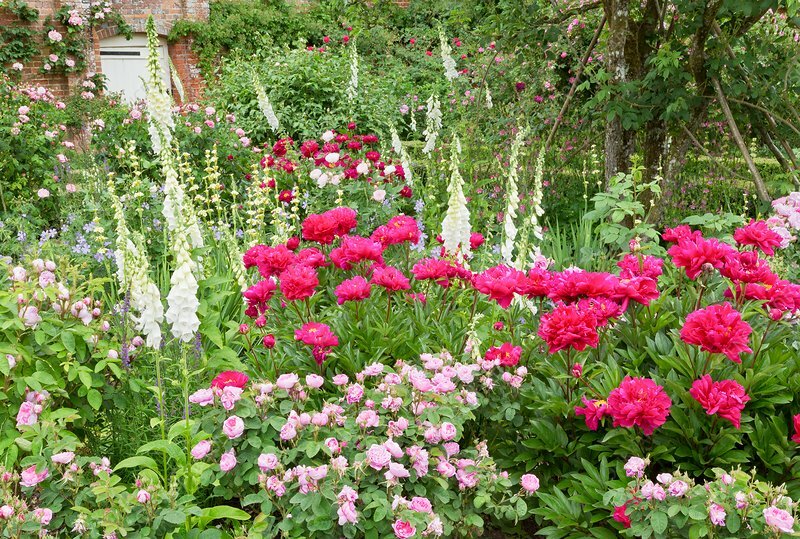 At front centre and right are peony (Paeonia lactiflora 'Adolphe Rousseau') flowers. Photographed at Mottisfont Abbey, Hampshire, UK, in mid June.